TalentNest is an effective applicant tracking software (ATS) that helps you track all candidates throughout the recruiting process, rate candidates, and select those who are most likely to become top performers in your organization. 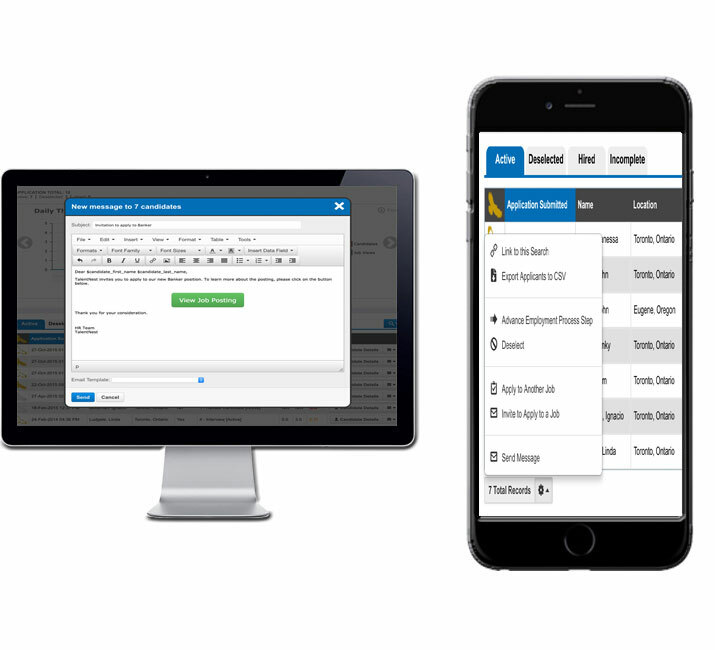 Create a custom employment flow that matches your organization’s recruitment processes. You don’t need to make your recruiting flow match our system – it will match you! If you’d rather keep things simple, just use the suggested configurations and get on your way to screening applicants immediately. Your dashboard shows you how candidates are flowing through the system, whether you’re getting enough candidates for your positions, and where the candidates are coming from. 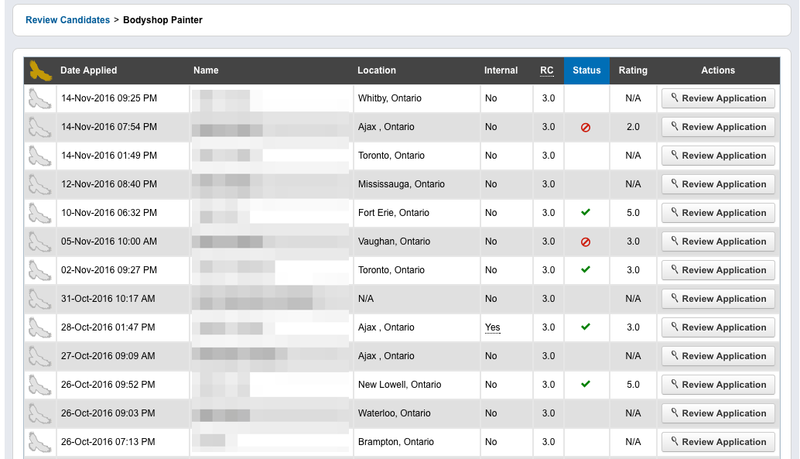 You can also track which of your recruiters are assigned to which jobs. 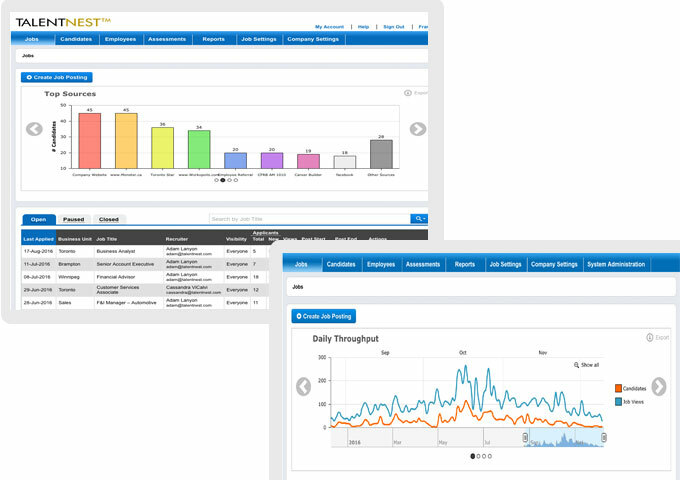 This management overview helps you stay on track and see what’s going on for each application. Quick Review helps you move efficiently from one candidate to the next – review their answers to questions, view screening results, or see their resume, then rate them from 1-5 or simply deselect/proceed them on the spot. Use Bulk Actions to streamline your hiring process when you have a large number of candidates. 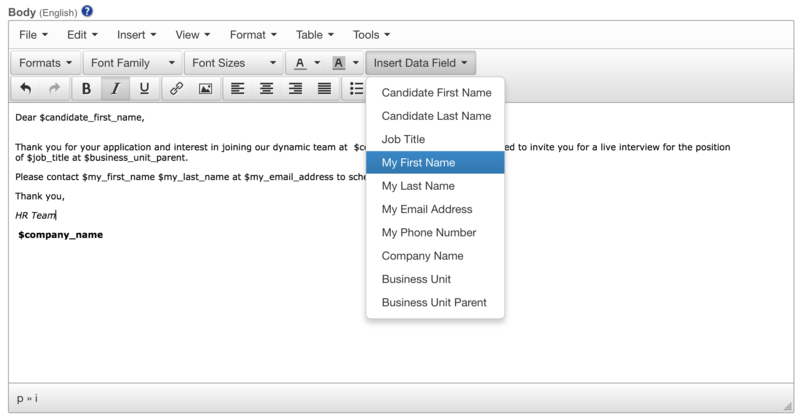 This feature allows you to move groups of candidates through the system at once. 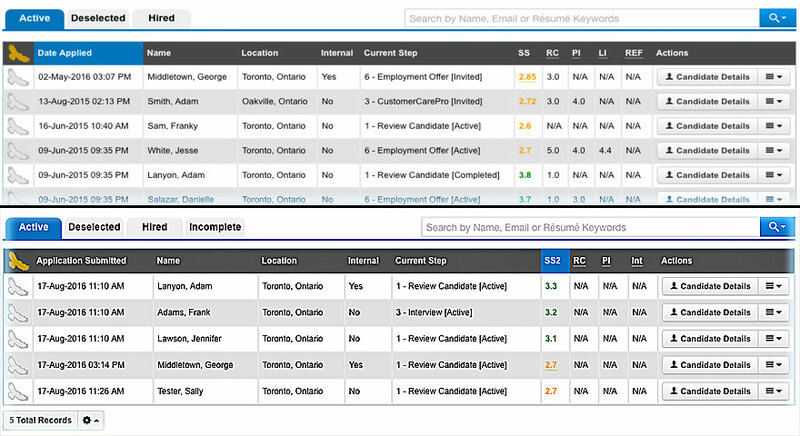 For example, deselect candidates in bulk who are below a certain score and move on to your more promising applicants. Flag your favourite candidates with a GoldenEagle™ to create a shortlist of top candidates for each position. Your GoldenEagles will appear at the top of the list to stay top of mind as you make hiring decisions. Get extra visibility on GoldenEagles. If a GoldenEagle applies for another job with you in the future or is flagged as a GoldenEagle for more than one job, you’ll know about it. TalentNest helps you track every action with each candidate – you can rate candidates, tag candidates, add notes for team collaboration, see where they are in the process, and always have the information on hand when you need it. Access any candidate’s full history at any time! Search your candidate pool based on various parameters to find the perfect fit. 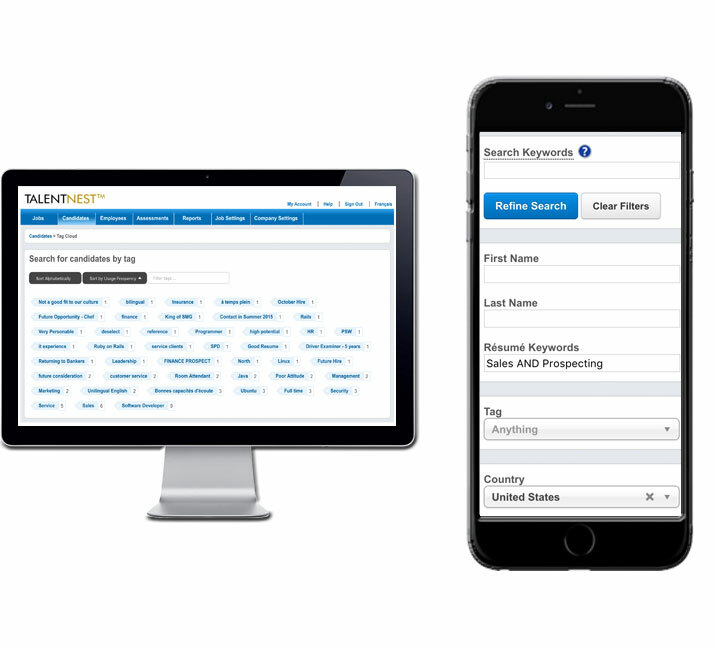 You can search by resume keywords, ratings, proximity, screening results, and more. Enjoy no-hassle communication with your candidates! Send out a pre-configured email to invite candidates for a phone interview, tell them a new job is available, and more. Using the information already in the system, the emails will automatically fill in fields such as candidate name, job title, and keyword. Recruiters can control which hiring managers have access to which jobs and candidates with the Hiring Manager feature. Shortlisted groups of candidates will show up on the hiring manager’s dashboard for review and rating.